In the past, Health Reimbursement Arrangements (HRAs) were a popular vehicle used by small businesses to reimburse employees tax-free for individual health insurance premiums and out-of-pocket medical expenses. 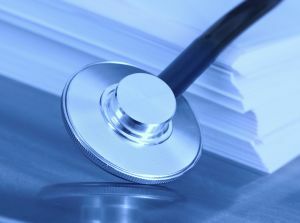 However, health reform brought sweeping changes to the health insurance industry, including how employers can use HRAs. Now the question is, how can an HRA work for a small business and what are the tax advantages? Health Reimbursement Arrangements, commonly referred to as Health Reimbursement Accounts or HRAs, are a type of Section 105 Medical Reimbursement Plan. HRAs are IRS-authorized, tax-advantaged, and employer-funded. Using an HRA yields tax advantages for employees, as well as for employers offering the benefit. Tip: Small businesses who want to reimburse individual health insurance premiums, as an alternative to offering traditional health insurance, typically use a compliant Health Reimbursement Plan. HRAs allow employers to reimburse employees tax-free for eligible healthcare expenses. To help understand how HRAs work, here are common features of HRAs. Employer Funded - HRAs are funded solely by the employer, and cannot be funded through employee salary deductions. Notional Arrangement - HRAs are notional arrangements, meaning amounts are expensed only after the employees incur approved medical expenses. No Minimum Contributions - Unlike a Health Savings Account (HSA), there is no minimum or maximum amount of money an employer can contribute to an employee’s HRA. Employer-Controlled - The employer sets the parameters for the HRA, and unused dollars remain with the employer - they do not follow the employee to new employment. Tax Savings - Because the reimbursements occur pre-tax, employees and employers often save up to 50% in combined taxes on the cost of medical expenses. HRA reimbursements are tax-deductible to the business. For example, if the small business gives employees a $300 per month HRA allowance, the real cost to the business is $300. FICA/FUTA payroll taxes do not apply to HRA reimbursements. For employees, HRA reimbursements are 100% tax-free. HRA reimbursements are excluded from employees’ gross income. Because of this, $1.00 in HRA funds is worth approximately $1.50 - $2.00 in a taxable bonus (depending on the employee's tax bracket). However, it is important to note that certain business owners have limited tax advantages with HRAs. C-Corp owners may participate in an HRA and receive all HRA reimbursements 100% tax-free. However, Sole Proprietors, Partners, or S-Corp shareholders that own >2% of the company's shares most often will not receive reimbursements tax-free. These Non-C-Corp owners can use the HRA platform to reimburse and track medical expenses. However, HRA reimbursements must be reported on the owners'/partners' wages (on their W-2 and 1040 forms) and are subject to federal income taxes. There are many tax deductible features made available by utilizing an HRA. Employers, as well as their employees, stand to gain various tax savings. With reimbursements occurring pre-tax, employees and their employers can save up to 50% in combined taxes on the cost of medical expenses. How well do you know the benefits of tax-deductible HRAs? Ask your questions below and we are happy to answer.